I had just removed the plastic cover that was keeping the leaves dry and the color and texture of the dead pseudostem tops caught my eye. Want to see what they look like today? Yep, it's the same photo because I have not yet been able to remove the fence and move all of the leaves. It's a huge amount of leaves and will be much work. The only disadvantage of keeping all of these leaves around (in my planting beds too) is that spring cleanup is a lot more work. It's not work, it's gardening, right? I suppose that's because the clumps are starting to reach a decent size, pushing up enough blooms to make a difference. 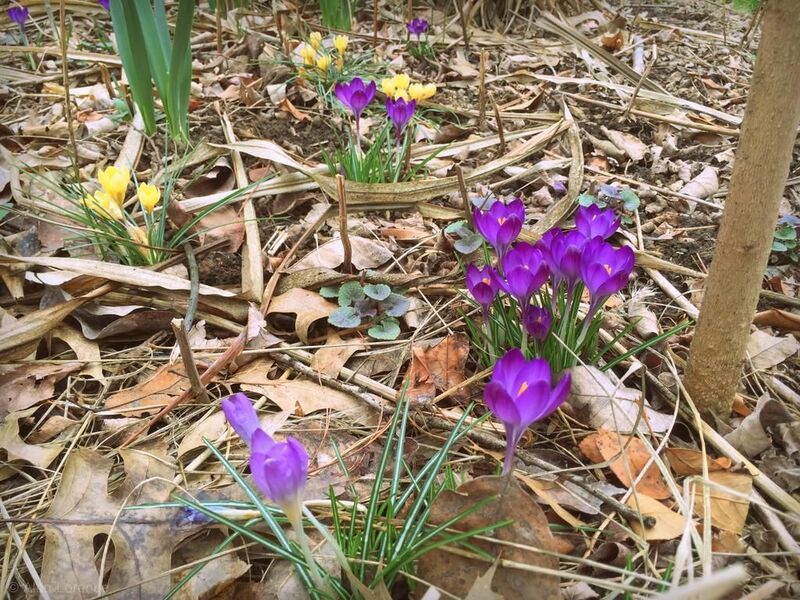 Daffodils are not far behind. 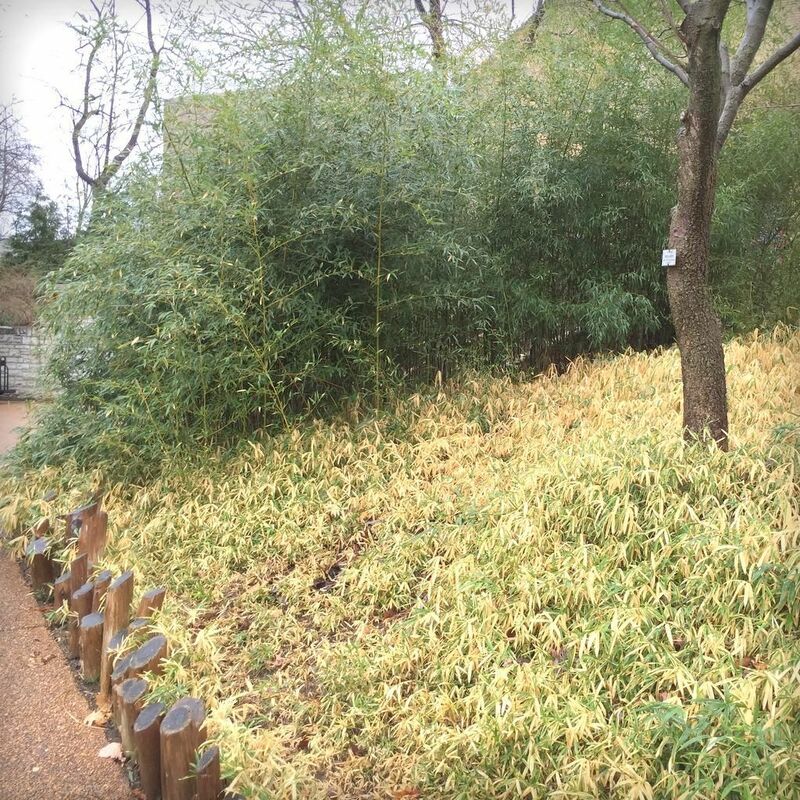 I've been posting a lot about bamboo recently, mainly because it's so visible at this time of the year. 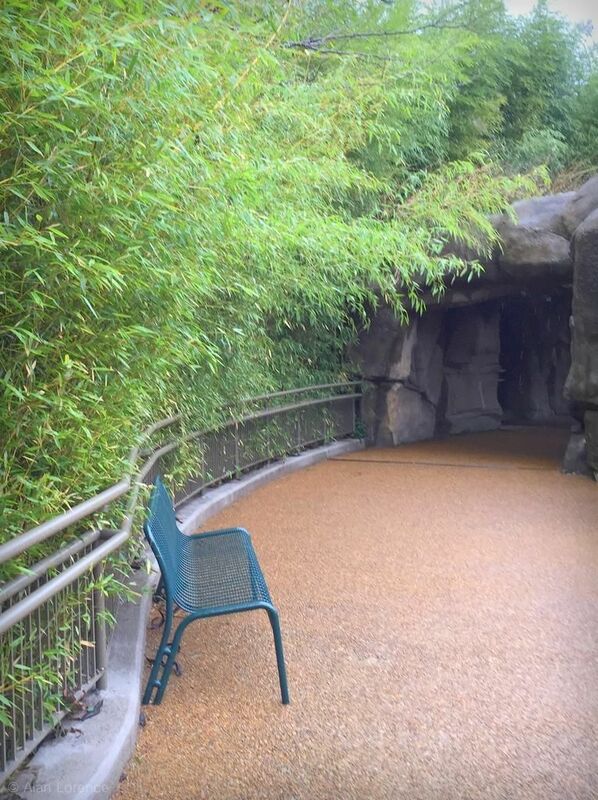 You know who has a great bamboo collection? The St. Louis Zoo does! They have at least six different types growing in two main areas: around the gorilla house, and in the River's Edge area. Such a nice taste of summer! 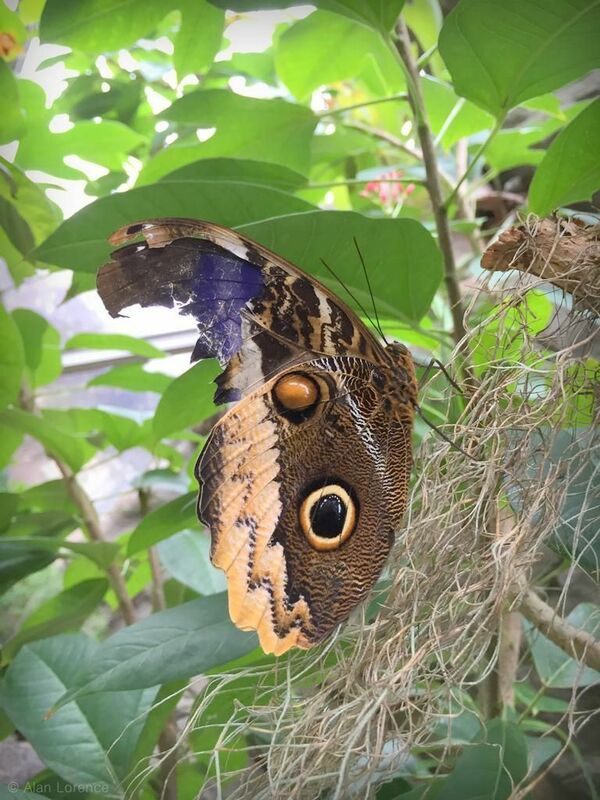 Does anybody know what type of butterfly this is? Does anybody know what this is? So blue, so wonderful! 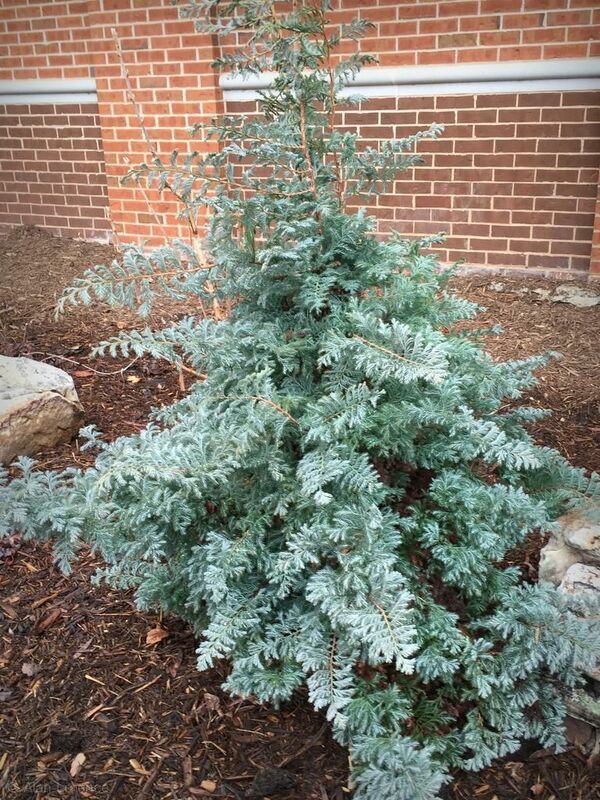 Is it a Chamaecyparis? I hope you get a lot done in the garden this weekend! 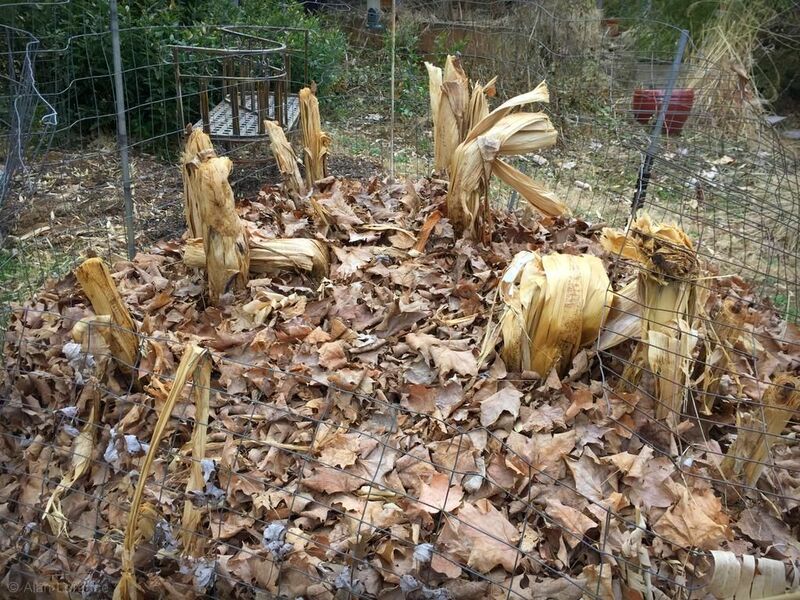 Spring garden work can be a lot, but before you know it, that banana clump will be huge again! Amazing you can grow them that big in St Louis. 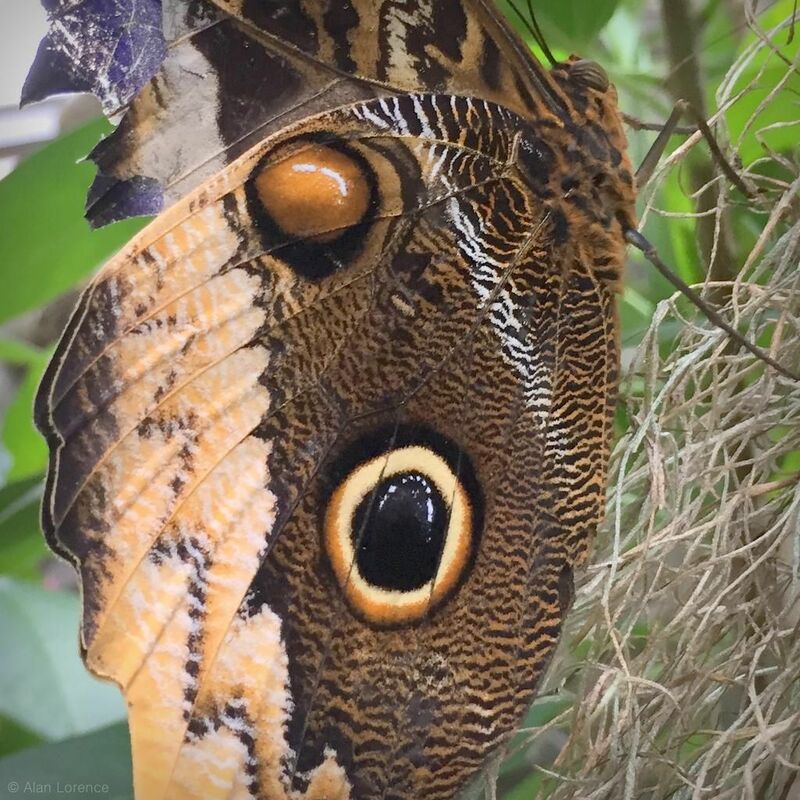 The close up of the butterfly made me feel someone was looking back at me... I love butterflies. It was nice it sit still for your shot.